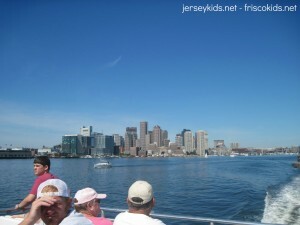 One of the hidden gems of Boston are the Boston Harbor Islands. If you have an extra day (or half day) on your trip, consider going. There are 34 islands in all, 24 with archaeological activity on them. Not shockingly, Native Americans used these islands before we settlers did, for hunting, farming and other activities. You can visit 12 of the islands. This is part of our Boston series. Even their recent history is interesting. The country’s oldest lighthouse was first built here in 1716, though the British burned it down in 1776 and rebuilt in 1783. That makes our own Sandy Hook lighthouse (built in 1764) the oldest working lighthouse in the United States. 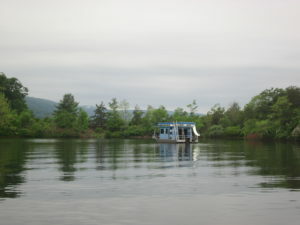 You can tour the lighthouse on Little Brewster Island on a different boat tour, along with two other lighthouses. The kids were not overly excited when I told them we were going on a speed boat ride – with a bunch of other people. What fun is it if you don’t get to drive the boat yourself? And my husband chalked this one up to another of my crazy ideas. 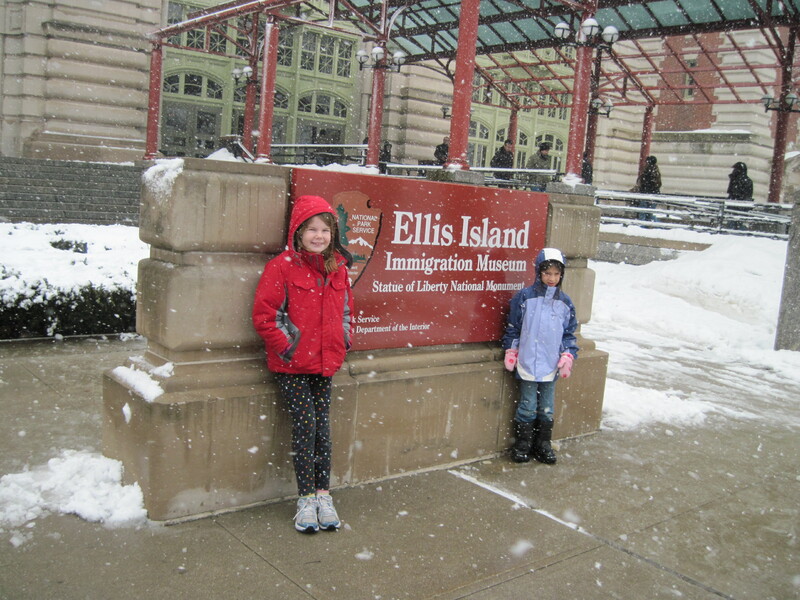 A visit to Ellis Island with kids is emotional no matter where you come from. 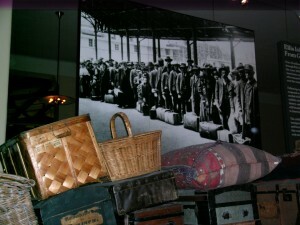 The facility, which processed 12 million immigrants from 1892-1954, was the first stop for many coming to the U.S. 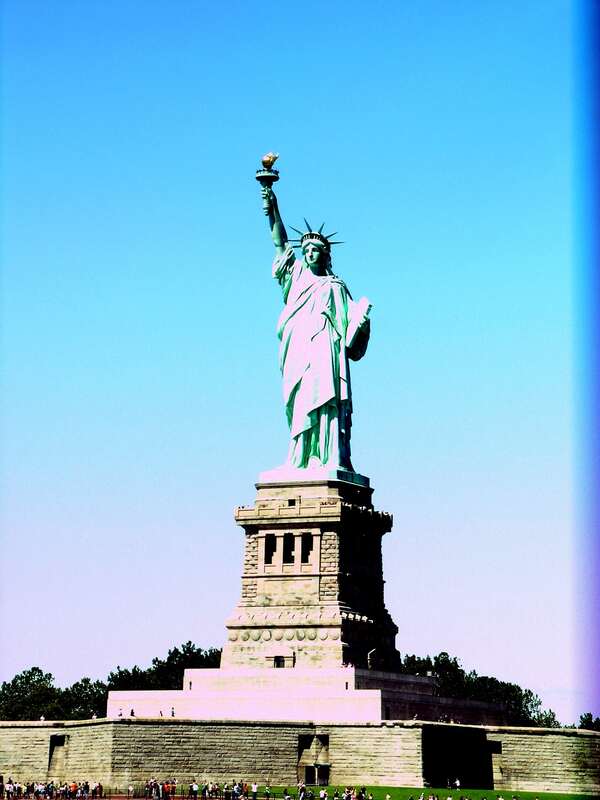 The Statue of Liberty was the symbol of freedom – Ellis Island was the gateway to obtain it. 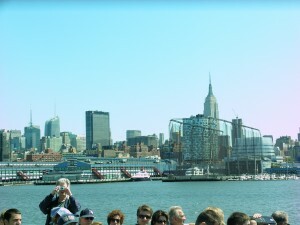 They estimate that more than 100 million Americans have a connection to Ellis Island. To take advantage of what Ellis Island offers, make sure you have plenty of time to peruse the galleries. The exhibits downstairs are not nearly as interesting as those upstairs. There’s plenty to interest even the younger kids. When you enter Ellis Island, you might even feel like you’re an immigrant yourself. After all, those around you speak a multitude of languages and might be wearing outfits traditional to other lands And you come from a crowded boat that you waited in lines to board. Granted, your passage from New Jersey’s Liberty Park or New York’s Battery Park took only 15-30 minutes (two boat rides from New York, one from New Jersey) and you weren’t packed on like sardines, stuck in a dimly lit hold or subjected to motion sickness-inducing waves. The Statue of Liberty is often cited as the first thing that immigrants saw when coming into New York’s harbor on their way to Ellis Island. 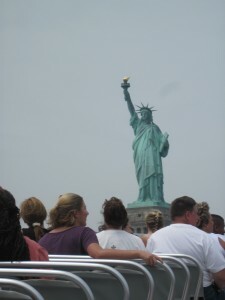 It’s probably the top thing on list to see during a visit to New York. And for good reason. The United States was not the intended recipient for Lady Liberty. 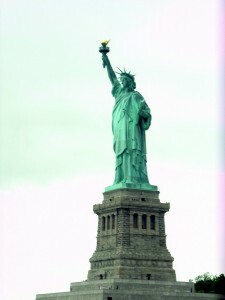 The statue was originally conceived as a lighthouse for Egypt’s Suez Canal. But the Egyptians rejected it. Private citizens, part of the Franco-American Union, along with some companies, later decided to give it to the United States for its centennial. And after a lot of research on where to put it, fundraising for the pedestal, and other hubbub, here it is. Of course that’s the brief explanation. You’ll learn more about it on Liberty Island. 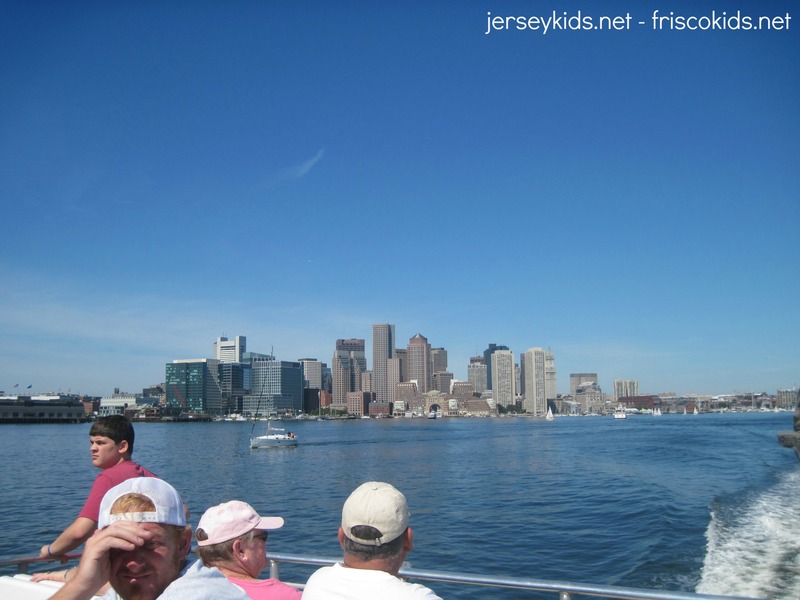 Let me start off by saying you should not do a 2 hour boat tour with kids who can’t sit still for several hours. Lesson learned the hard way. Normally a slow boat tour is not something I’d sign up to do – especially with kids. 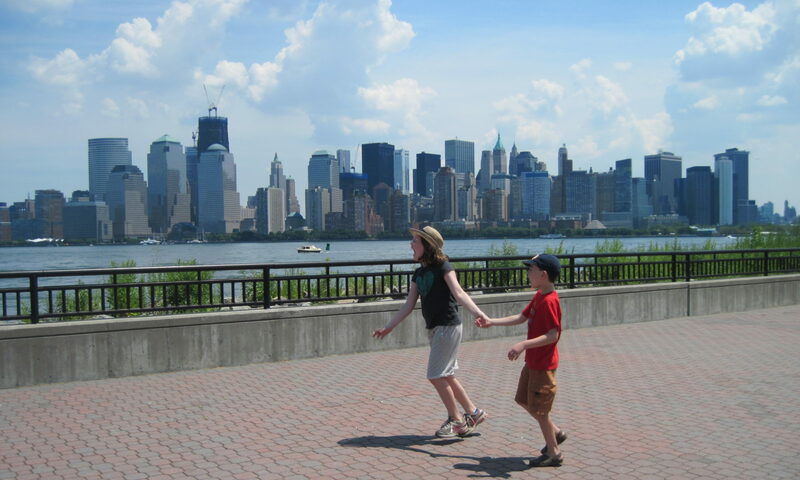 However, a friend was visiting from California, and she wanted to find something her husband hadn’t done in New York City before. . If you try searching for Circle Line boat tours, you might find that there are two locations – Circle Line at the 42nd Street pier, and Circle Line Downtown, at South Street Seaport. In spite of having the same name and similar cruises, these are different companies. Go figure. If someone could tell me how they can run the same type of business with the same name, and not be hit with trademark issues, I’m all ears!